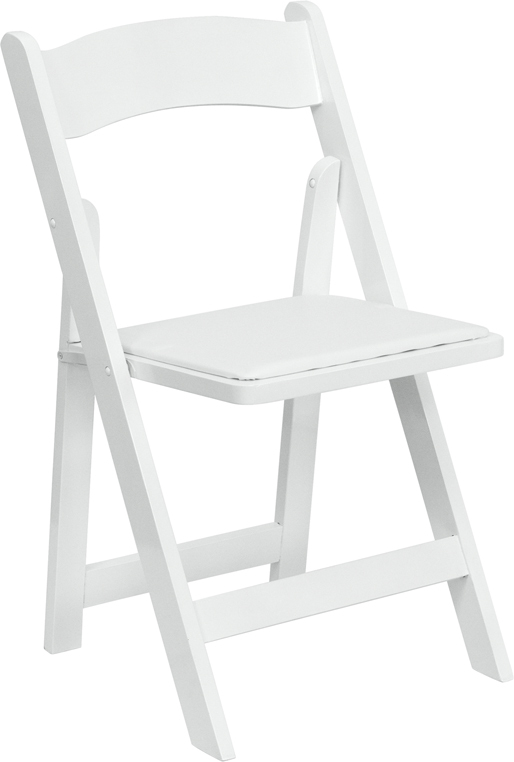 These white wood folding chairs are great for indoor & outdoor events, banquets, meetings, and more! The stylish look coupled with the unmatched durability will keep you and your guests happy for years to come! Seat Size: 15.25"W x 14.25"
Back Size: 17.5"W x 14"